Monte Carlo Yachts is ready to present three new models that will further strengthen the Italian brand’s collection. The exclusive unveiling will take place on the opening day of Boot Düsseldorf, January 19, and more details will be disclosed during the Press Conference on Sunday 20. 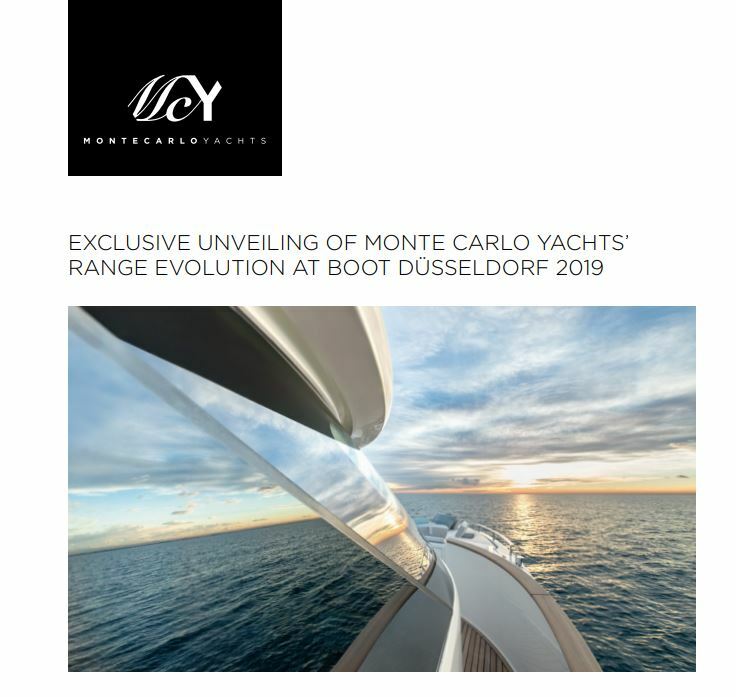 The first of the three models presented will be on display in the Monte Carlo Yachts’ stand located in the spectacular Halle 6 where visitors will have the opportunity to experience the official World Premiere of the new yacht and discover more about Monte Carlo Yachts’ Vision and what else is yet to come in 2019.